We have uploaded one of David’s classic articles “Retrofitting the suburbs for sustainability”. As most of us live in the city and that’s not likely to change any time soon, the suburbs need massive retrofitting. David takes an average urban street, plays with scenarios, and shows it’s doable. 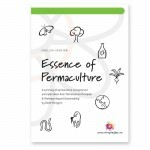 You can now download the piece, originally authored for the ‘Simplicity Institute Report 12i, 2012. I believe the evidence of global instability leading to energy descent if not total collapse is so overwhelming that it is incumbent on everyone to begin taking personal and household responsibility for reorganising their lives to adapt in place (or consolidate with family or friends). Paying off debt, teaching our kids to garden, and turning our hobby into a business is not going to solve the problems unleashed by permanent energetic and economic contraction, but after forty years of public policy denial of the limits to growth conundrum by government, the media and other sources of power and public policy, the bottom up adaption strategy is the only one with any remaining utility. 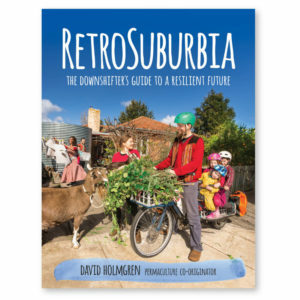 Download and read Retrofitting The Suburbs (PDF 254KB) in full. Also you can explore the subject in the related pieces. Retrofitting the suburbs for sustainability (adapted from public lecture given at the Aldinga Arts Eco-village in Adelaide in January 2005).